If you are planning to host more than one website, please make sure that your hosting account allows this functionality. Addon domains are allowed on the higher web hosting plans at SiteGround – GrowBig and GoGeek. If you have a StartUp hosting plan, then you need to upgrade the same from your SiteGround User Area. Additionally, you need to have a registered domain name too. If you have not registered a domain name yet, you can register with any of the top domain registrar like GoDaddy or Bigrock. GoDaddy is the world’s largest domain name registrar. If you want register your domain name with SiteGround Hosting, you can register during buying a hosting account or directly from Add Services section of your SiteGround User Area. Once you are sure that addon domain functionality is available with your hosting account and domain name is registered, you can follow below guide. Here you will be able to manage (Add or Remove) addon domain with SiteGround hosting account. STEP-1: Visit SiteGround website and login to your hosting account dashboard with your login credentials (email id and password). STEP-3: In your Siteground cPanel, look for Addon Domains tool under Domains section. 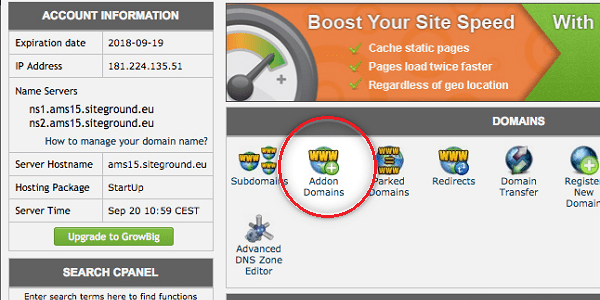 Click on Addon Domains tool in cPanel. STEP-4: On the next page, you will have to fill several fields like New Domain Name, Subdomain or FTP Username, Document Root and Password. Once you have provided the required information, click the Add Domain button to add the domain name to your account. That’s it! The domain name has been added as an addon one to your hosting account. To remove an addon domain name, first access the Addon Domains tool in SiteGround cPanel. You will see here a list of all the addon domains on your account. To remove an addon domain name, click the Remove button next to the entry of domain. 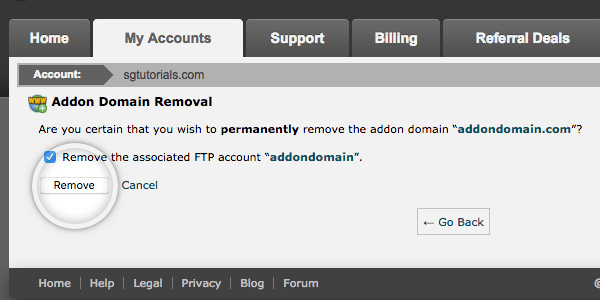 A new Addon Domain Removal page will open, on which you will be prompted to remove the associated FTP account “addondomain” as well. To proceed, click the Remove button. That’s it! By this way you can remove the addon domain name from your account. 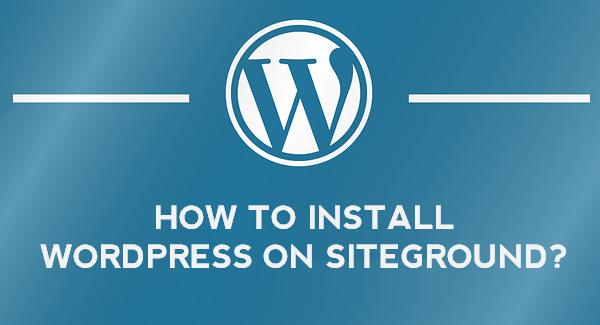 If you have purchased the domain from SiteGround, there is no need to do this step. But if your domain is from any other domain registrar like GoDaddy or Bigrock, you have to follow below steps. STEP-1: Login to SiteGround > Click on My Accounts > Go to cPanel (follow above Step-1 & Step-2 in section #1). You will see following snapshot, where SiteGround’s name servers, IP Address, hosting package and other relevant details are available. STEP-2: Now login to your domain registrars dashboard like GoDaddy. 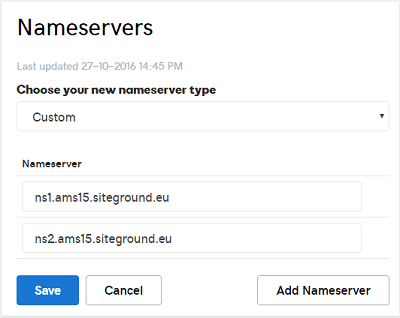 STEP-3: Click on your domain name/manage option, go to DNS Management, select name-server and update the name servers to point your domain to SiteGround hosting. By this way you can point domain name from any other registrar to SiteGround. There is no need to transfer your domain to SiteGround hosting account.